Climate change and climate-related disasters are a major driver of global food insecurity. Zero Hunger cannot be achieved without concrete action to help vulnerable communities prepare for, respond to, and recover from climate shocks. To guide such action, however, it is essential that we better understand how climate risks — both current and future ones — impact food security and livelihoods. The Consolidated Livelihood Exercise for Analyzing Resilience (CLEAR) is an analytical approach developed by WFP to better understand how food security is affected by climate risks – whether they be related to extreme events (such as droughts, floods and cyclones), or to long-term gradual changes (such as shifting rainfall patterns, rising temperatures, or salinity intrusions in coastal areas due to sea level rise). The ultimate objective of a CLEAR analysis is to inform the design and targeting of development programmes and policies related to climate change adaptation, by shedding light on how both current and future climate risks affect the most vulnerable people. A defining feature of the CLEAR approach is that it takes livelihoods as the starting point: livelihood zones, rather than administrative boundaries, are used as the main analytical unit. Focusing on livelihoods means the priority is placed on communities and what they do for a living. This helps understand how climate affects people, rather than geographic areas. CLEAR analyses are carried out in countries where climate risk stands out as a major factor of food insecurity, and where development agencies or governments feel that a better understanding of the relationship between resilience, livelihoods and climate risks is needed to inform programmes. This guide* has been put together to help development practitioners involved in designing, implementing or funding climate-related interventions understand how a CLEAR analysis can support their work, and how this analysis is carried out. The guide starts with a general overview of the overall CLEAR approach, before giving a more indepth step-by-step explanation of the method, and then finishes with concrete examples of CLEAR has been used in various countries to design adaptation programmes or policies in the food security sector. Each CLEAR analysis is different. The method is adapted to government priorities in that country, data and time constraints, and, of course, the specific objective of the analysis in that country. Targeting and designing resilience or climate change adaptation activities, done by WFP or by the government. This can support the design of either specific projects (e.g. Cambodia and Laos), or the overall programme in that country (e.g. Sri Lanka). Informing existing, non climate-related livelihood support programmes, by helping understand how climate risks interact with other drivers of food insecurity – and can potentially slow down the effectiveness of these programmes if climate risks are not simultaneously addressed (e.g. Nepal, in earthquake affected areas). 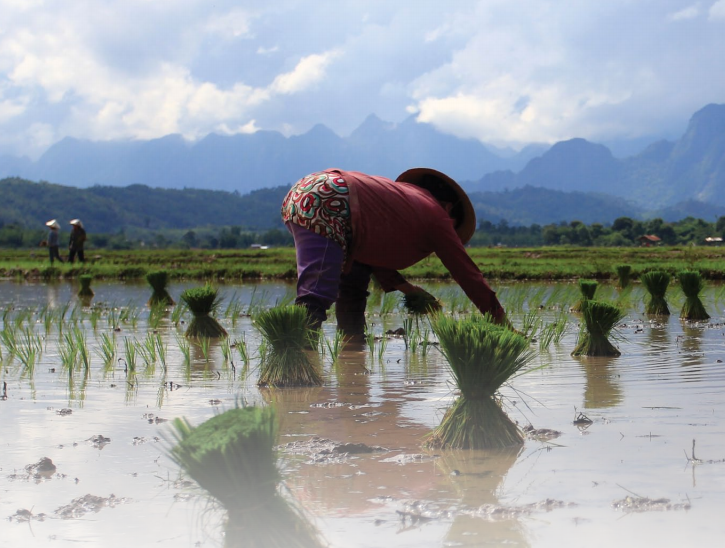 Food security monitoring and early warning systems, by identifying livelihoods and areas that are particularly vulnerable to specific climate risks (e.g. Cambodia). Serving as an advocacy piece on WFP’s work in disaster risk reduction and climate change analysis and programming (e.g. Afghanistan). Serving as an emergency preparedness and response tool for El Nino events (in particular the 2015/16 event), by identifying populations most vulnerable to the impacts of El Nino, in order to guide potential emergency response priorities (e.g. Timor Leste). CLEAR therefore should not be considered a fixed method, but rather an approach to food security and climate risk analysis that can be modified to suit different analytical needs and socio-economic contexts, while still maintaining its core emphasis on livelihoods. an assessment of the impacts of future climate risks on livelihoods and food security. A CLEAR analysis therefore typically involves three steps: livelihood zoning, resilience analysis, and analysis of climate change impacts. While the steps build on each other, they can also be carried out independently, depending on the aims of the analysis. The livelihood map produced in the first step is used to create the resilience map in the second step, but can also be used as a standalone product. Similarly, while the resilience map is used as a basis for the third step – which aims to understand the projected impact of climate change on food security and livelihoods – it can also be used as is, to show current resilience (without taking into account future climate change). WFP is carrying out CLEAR analyses in different countries under the C-ADAPT initiative. In Asia, CLEAR analyses have been done in Sri Lanka, Cambodia, Laos, Nepal, Timor-Leste, and Afghanistan. The method has also been tested in South Sudan. Read about a similar approach used in Afghanistan - Climate Change: What Does it Mean for Rural Livelihoods and Food Security? WFP (2016) The CLEAR approach: The Consolidated Livelihoods Exercise for Analyzing Resilience. World Food Programme: Rome, Italy.